This year we have commemorated a low point in the annals of UK heritage traction, the eradication of steam from the main line and its scrapping en masse 50 years ago. There were many observers who believed back in 1968 that with the passing of a generation or two, steam would be slowly but surely forgotten, and interest would wane. However, as we have seen, the exact opposite is the case. Untold miracles have been worked in the sector of railway heritage since the Talyllyn Railway was taken over by volunteers in 1951, and they are still coming fast and furiously. Arguably one of the highest points of the movement came in October, and had little to do with steam. Our special feature on pages 50-55 outlines the comeback of one of the most phenomenal preservation projects of all – the rebuild of the world’s first modern traction passenger vehicle to running order in all its early Edwardian magnificence and complete with a matching auto-trailer. 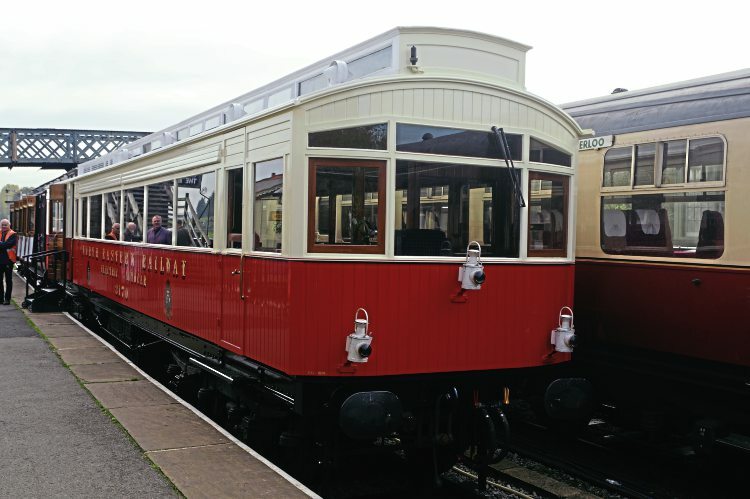 I was there at its launch on the Embsay & Bolton Abbey Steam Railway and I can vouch for the fact that you have to see and ride in this vehicle to appreciate its true splendour, original woodwork, clerestory roof and all (see images below). However, there are many more big landmarks now queuing up to take the limelight. Next year should see the long-awaited debut of new GWR Saint No. 2999 Lady of Legend at Didcot Railway Centre, giving us another window on the age of Edwardian railways. And another glaring hole is set to be filled in the Swindon heritage fleet, in the form of Grange 4-6-0 No. 6880 Betton Grange, which now seems to be on its homeward straight at Tyseley. This month we have now seen the boiler inside the frames of the new LMS Patriot The Unknown Warrior – admittedly just a trial fitting at this stage, but it is now on course for completion in the new date of 2020. It will not be long after that when the world’s fastest-growing new-build standard gauge project will be ready to wow all of Britain and the world too, in the form of the seventh Gresley P2 2-8-2 No. 2007 Prince of Wales. Locomotives apart, the railway sector is all set to reclaim even more lost territory from the age of steam. The temporary platform at Corwen has just seen its last train and next year’s Llangollen Railway service will run into the new town centre station, giving a town-to-town service. 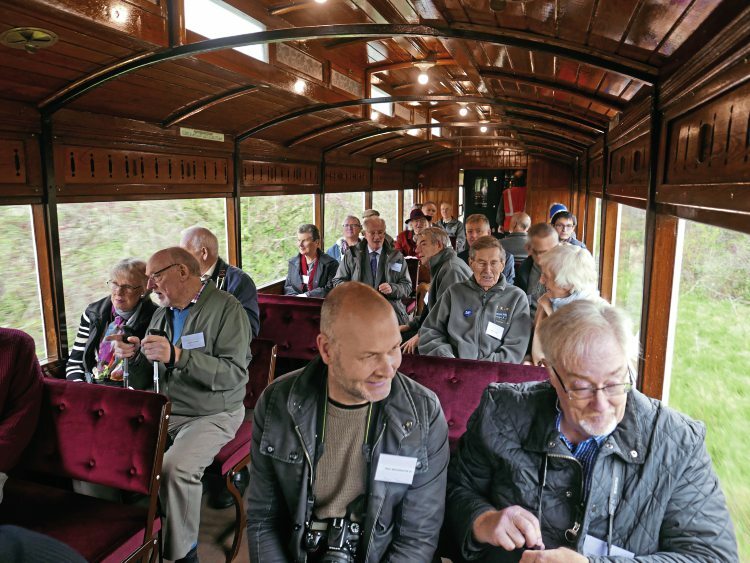 Already the passenger numbers from Corwen are stacking up – and just look at what has happened with the Gloucestershire Warwickshire Railway Broadway opening this year! Big strides are being taken to bring the Churnet Valley Railway into Leek and in October we saw the opening of the rebuilt Leek Brook ‘interchange’ station as a precursor to getting a town centre presence. There is also fresh talk about shuttles from Taunton to the West Somerset Railway at Bishops Lydeard, and what lies in store for the Chinnor & Princes Risborough Railway now it has its main line interchange open? Then there is the westward push for the Lynton & Barnstaple Railway to Wistlandpound, and hopefully one day beyond; the taking of the Bala Lake Railway into its local town centre and of course, the big one – the linking of the two Great Central heritage railways over the bridge at Loughborough, which is already in place. We remain fascinated and enthralled by our proud railway past. Now we will be able to feel the same about the heritage future that lies just around the corner.